Today the Global Digital Activism Data Set hit 500 cases, and it is still growing. Part of this is due to the great diversity of digital activism campaigns, but most of it is due to the small acts of digital activism that don’t make the national or international media. For every Iran or Moldova “Twitter Revolution” there are hundreds, perhaps thousands of smaller campaigns (many unsuccessful), or bloggers bringing taboo topics like government corruption and domestic violence into the public sphere. For every case where digital technology clearly led to the success of a campaign there are dozens more cases where digital technology was just one tool among many deployed, and it is difficult to isolate causality. This is at least what the data is revealing so far. So why include these merkier cases in the data set? Why include cases of bloggers “raising awareness” or a campaign that has a Facebook page but also uses many offline tools? Why not only focus on the clear successes, the dramatically digital campaigns? The reason is that the dramatic successes like People Power II represent only the tip of the digital activism iceberg. 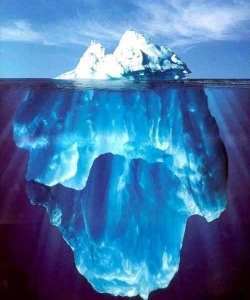 We want to see how big the iceberg is, what small yet significant cases lie below the surface. There is currently a debate as to whether digital activism empowers the activist, empowers the oppressor, or doesn’t give either the upper hand. Through our data collection we are seeing that all these cases exist, depending on context. So everyone wins the debate. Now we can move on to more interesting questions.